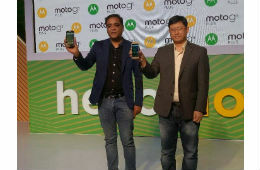 Motorola a Lenovo Company, has launched a new Device "Moto G5 Plus" in India on Wednesday . Finely crafted & feature rich Flipkart Exclusive smartphone Moto G5 Plus can be seen as Redmi Note 4 Competitor due to its price range. The Smartphone is beautifully design compromises, all metal body design made with high grade diamond cut aluminium 6000. The smartphone sports a 5.2 inch full HD (1080x1920 pixels) Display with Corning Gorilla Glass 3 Protection on the top. Dual Sim (Nano+Nano) Slot placed at the top of the curved corner. Fingerprint sensor is placed on the home button that let you swipe to browse through the Phone's interface as well. 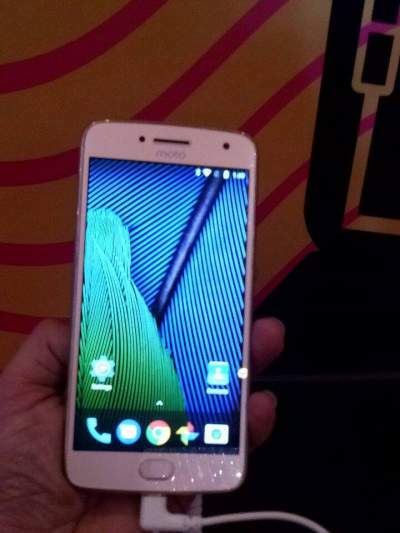 Moto G5 Plus is powered by Snapdragon 625 octa-core processor couple with 650 MHz Adreno 506 GPU, and Runs on a latest android version 7.0 Nougat. As far as battery is concerned, smartphone offer 3000 mAh of battery on board that comes with Turbocharger. Turbocharger let you enjoy 6 hours of battery life by charging device for 15 minutes only. Moto G5 Plus is NFC enabled, facilitate easy payments via mobiles where it is supported. At participating stores, you just need to place your phone near an NFC terminal and use your fingerprint authorization. It’s fast and easy way of making payments, it also eliminate the need to carry cash or credit/debit cards. 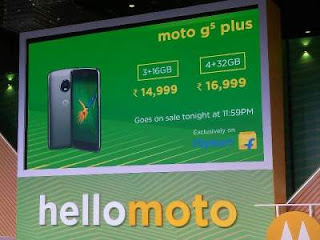 Flipkart also offering some special launch offers on purchase of Moto G5 Plus Smartphone including Rs 1,500 off on exchange, additional 10% off on SBI Cards & 5% Off on Axis Bank Buzz credit card, no cost EMI start from Rs 1,889/ month only. Flipkart also announced Buy Back Guarantee on this smartphone, that offer assure Rs 7000 buy back price (exchange price) of Moto G5 Plus if you purchase any other smartphone from Flipkart with in six month of your Moto G5 Purchase. 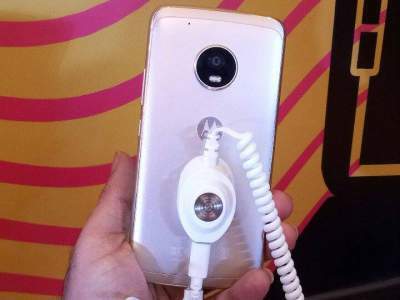 In addition to these super offers you will also get Moto Pulse headset worth INR 1299 at just INR 599.